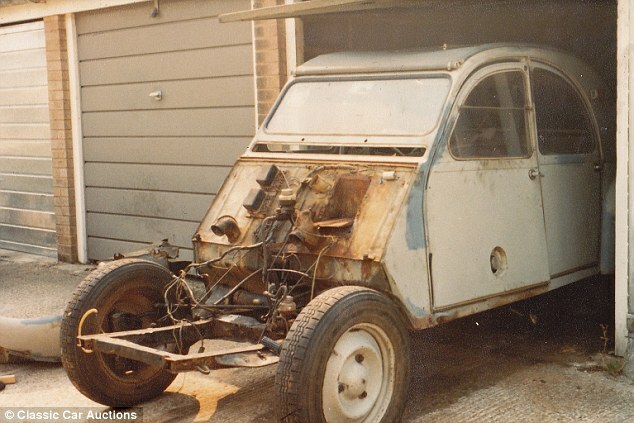 The Citroen 2CV started from humble beginnings. The name stood for 'deux chevaux-vapeur', meaning two horsepower, something which it essentially replaced in 1940s agricultural France. 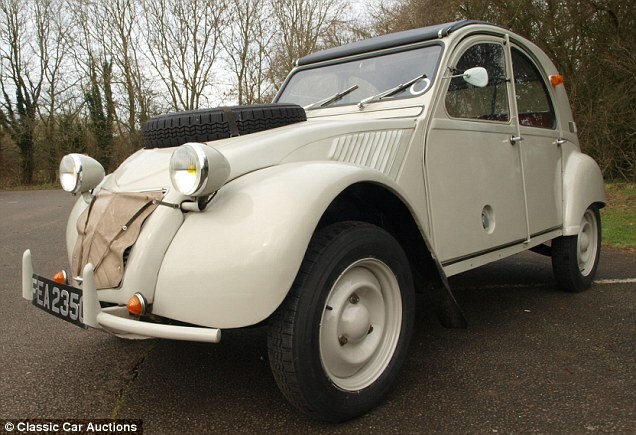 Over 42 years of production, some 3.8 million were made - as well as 1.2 million 'Fourgonnette' 2CV delivery vans. In other words, they were not rare. But as 2CVs have slowly rusted out of existence, well-maintained examples are starting to become more and more collectible. Some more than others, it seems. This limited-run Safari model is expected to sell in the UK for between - brace yourselves - £60,000 and £65,000 when it goes under the hammer. What makes this particular derivative special is the fact it's one of very few made with four wheel drive... and an engine powering each axle. 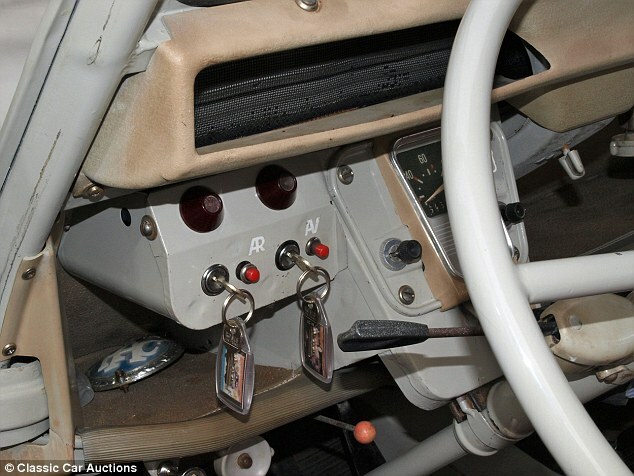 Just 694 Sahara 4x4 2CVs were built, this one being number 657 of the limited edition. Featuring one engine to power the front wheels and a second to drive the rear, each produced a fairly tiddly 12bhp. Each engine had a separate ignition, meaning it could be driven by the front wheels alone or just the rear if desired. The combined 24bhp output was good enough for a top speed of 65mph, though it could do around 40mph using just one of the motors. 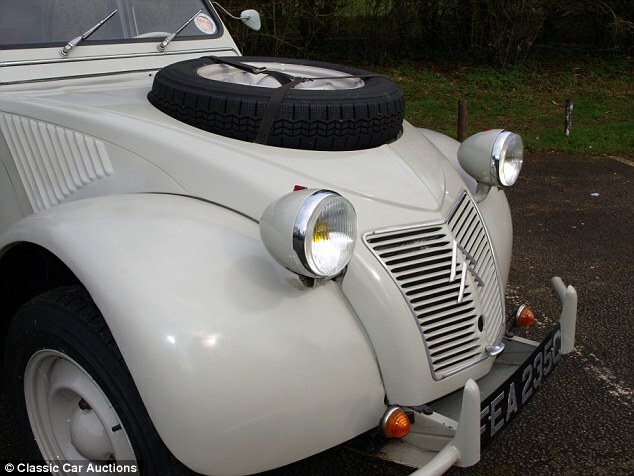 It also featured twin fuel tanks located beneath the front seats (hence the filler caps in each of the front doors) to supply each engine and countless other modifications to enable the cars to be used in the French colonies in Northern Africa. And that's exactly where this one ended up, being delivered to Nigeria in 1965. But the first owner wasn't a monsieur; an English anthropologist working for a university hospital was the first registered keeper. 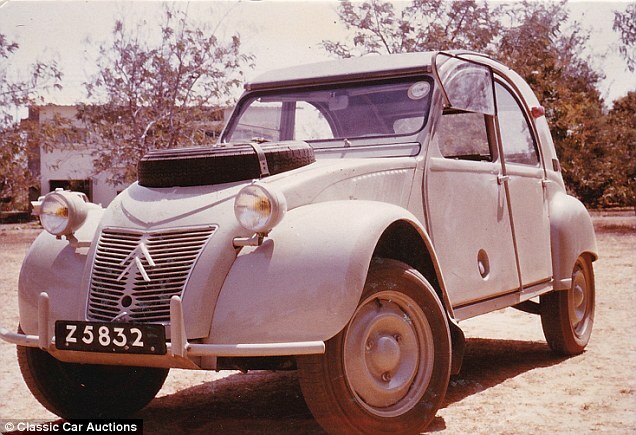 While conducting federal government research in the country, he used it to travel between remote villages across harsh terrains, charming the locals with the cutesy Citroen rather than turning up in an intimidating Land Rover. 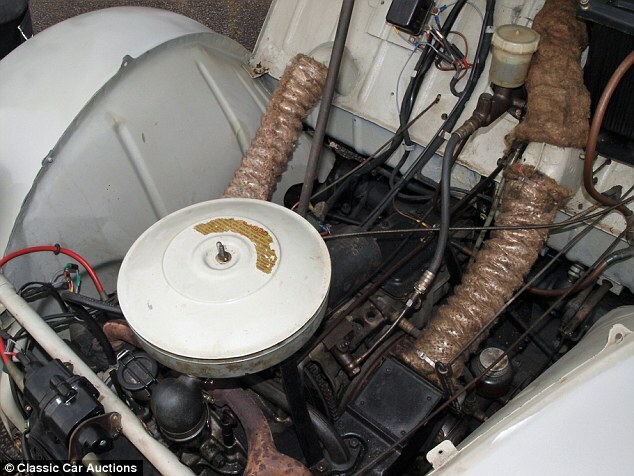 According to Classic Car Auctions, who will be selling the car next month at the NEC in Birmingham, the owner drove it 1,000 miles across the Sahara desert on return to the UK to escape the Civil War that broke out in 1967. Two years later, he headed back to Nigeria via the unrelenting desert in the car for the return leg - a phenomenal effort by man and machine in the late 60s. 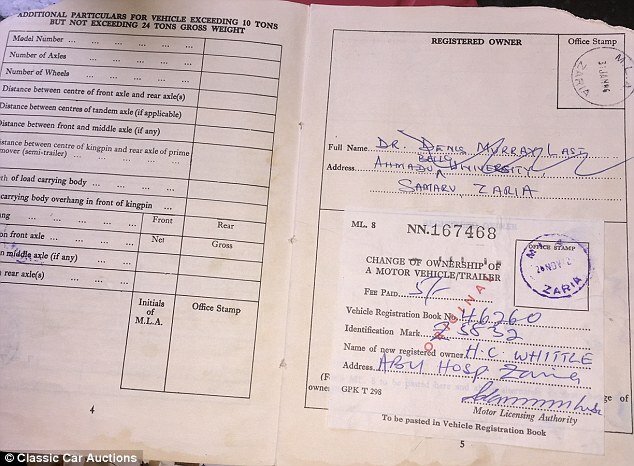 It was sold to a second owner in the 1970, a doctor working at the same Ahmadu Bello University Hospital the Briton had originally been working at. 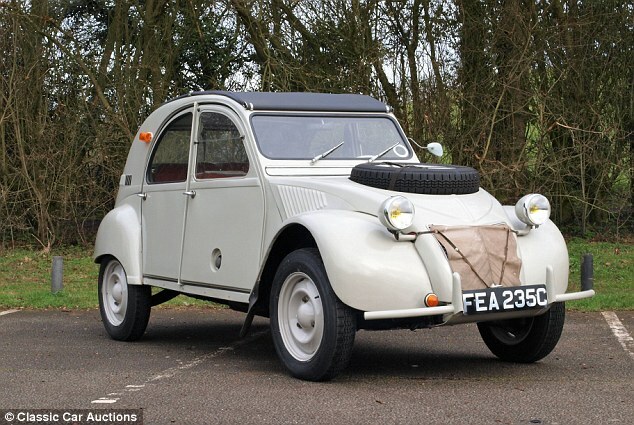 Amazingly, in 1980, the original owner was reunited with his trusty four-wheeled French friend during a visit to the country, finding the car in a dilapidated state. 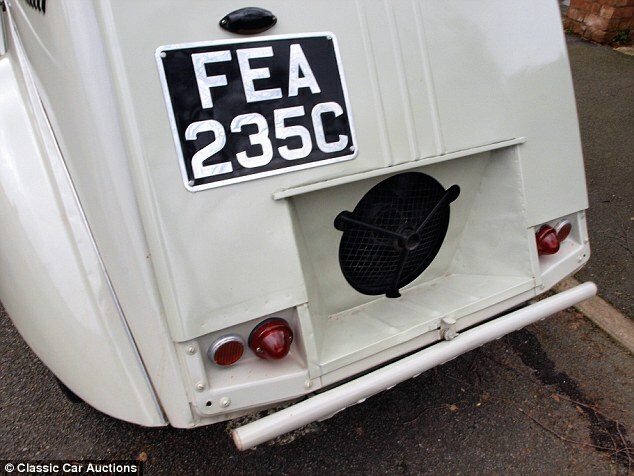 With his bond with the car too strong to let it fall into a state of disrepair, he decided to ship it back to the UK for reconditioning, where it arrived and was registered for British roads in March 1981. However, due to a lack of spare parts available on the market, the renovations never began and the car was moved on to a new owner (the current one) soon after arriving on UK shores. Some 31 years later, he subjected the car to a top-to-bottom restoration to return it to the fabulous condition you can see it in today. Original features were overhauled, like the red seating, removable rear bench, full-length folding roof and both engines. The car will be sold at the Classic Car and Restoration Show on April 1 with replacement crankshaft and crankcase halves, the original registration document from Nigeria, several photos of the car during its trip across the Sahara desert, French language 2CV Sahara and period English language 2CV brochure and the owner’s manual - you can't ask for more than that. 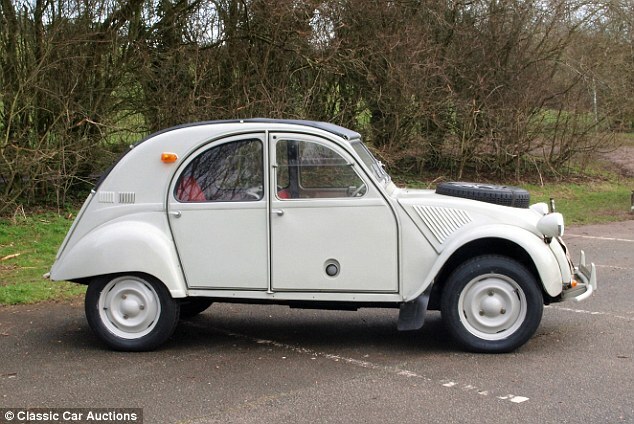 Nigel Gough, classic car specialist at CCA, reckons there are less than 100 examples of the 2CV Sahara left in existence, with just 30 of those still in running condition. 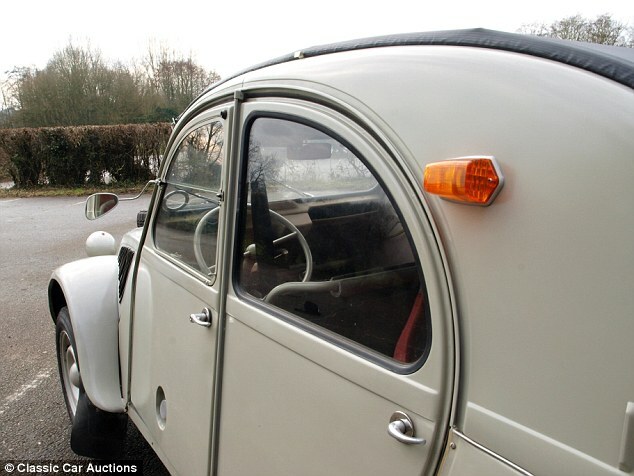 'Not only is it a rare 2CV, but also has a unique past and fascinating story, one that will certainly appeal to collectors,' he added.